necessary evil, I can not view it as anything less than a miracle.  After piloting my Piper Tri-Pacer for hundreds of hours, and then moving on to a Cherokee 180, I still look forward to the sensation of freedom that comes each time we climb into the nothingness of a blue clear sky. I find flight a truly real experience in a world of phoniness. As with any feelings of reverence or awe, there is no way the emotions can be passed on to others. Yet it is my hope that with this site I might spark an interest or encourage someone to pursue the miracle of flight. My enjoyment of flight has increased even more with the addition of my new co-pilot. 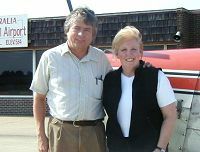 After several years of inactivity, Sue is putting on her private pilot wings again. Whether Sue and I are flying Two Niner Juliet somewhere together, or the Cherokee is taking me home to her, both the flight and the arrival at our destination are a joy. Having an aircraft to fly serves us in many ways. In addition to taking us on vacations or to visit family, it takes us to locations where I am working or to retrieve purchases for Sue's Doughboy collection. Our Cherokee 180, N9529J, is a four-place airplane that was manufactured in 1966, the year that Merriam-Webster claims the term "general aviation" originated, and is powered by a 180 horsepower Lycoming O-360 engine. It cruises at 125+ miles per hour and carries 800 pounds in addition to 50 gallons of fuel. It has a STOL kit and the basic IFR equipment, though a handheld GPS is our usual method of navigation. She was an oil burner, but got an engine replacement in 2005. 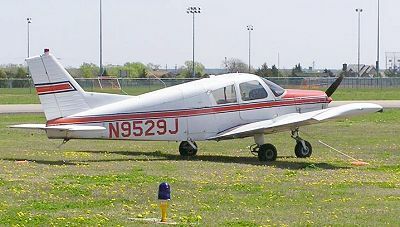 My first airplane was a Piper Tri-Pacer, N8943D. 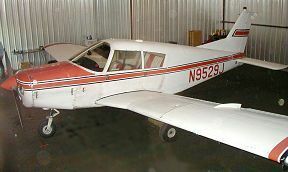 It was purchased in Albuquerque, New Mexico in 1980 and I flew it until a taxi accident in April of 2000. We spent over 1600 hours in the air together and had some great adventures, many of which are included in my book, Confessions of a Pilot. A trip to Philadelphia, Atlantic City and Washington, D.C. Numerous beautiful flights across the plains of the Midwest. Flights to the Gulf of Mexico, New Orleans and Dauphin Island. Numerous flights around the state of New Mexico with its mountains and deserts. A trip down the east coast of Mexico, to Tampico, Puebla, Acapulco and up the west coast to Guaymas and back home to Albuquerque. Click here to read about more flight adventures! "Pilots are drawn to flying because it's a perfect combination of science, romance and adventure." As you can see flying has been a fabulous experience. Savoring a beautiful night flight as I wait for my ride. "Never stop being a kid. Never stop feeling and seeing and being excited with great things like air and engines and sounds of sunlight within you. Wear your little mask if you must to protect you from the world but if you let that kid disappear you are grown up and you are dead." -- Richard Bach, 'Nothing by Chance,' 1963. To those concerned about small planes and terrorism: Our airplane is stored in a locked hangar within view of the tower. The hangar is surrounded by chain link fence with card controlled entry. No one gets to our aircraft unless they are known by us. Our aircraft carries only 1/10 as much payload as a Ryder Truck. Our aircraft weighs only 1/100 as much as a Boeing 747. Our aircraft holds only 1/1000 as much fuel as a Boeing 747.